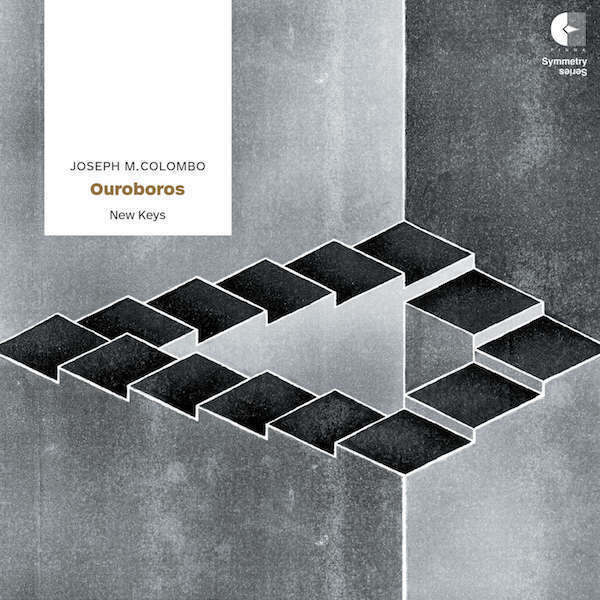 Joseph M. Colombo's Ouroboros, for 2 pianos 8 hands, is an immersive study in rhythm and texture constructed entirely from descending chromatic scales. The ouroboros—a depiction of a serpent devouring its own tail—symbolizes the self-renewing cycle of life and death, as well as the unity of creative and destructive processes. Both of these concepts come into play in this work. A chromatic line descends the entire range of the piano, only to reappear in the highest register, circling back upon itself, continuing its descent. Once it returns to where it started, another, faster line slips off. More lines continue to build up until the music collapses under its own weight. Joseph M. Colombo and the pianists of New Keys at a rehearsal of Ouroboros, for piano eight hands.